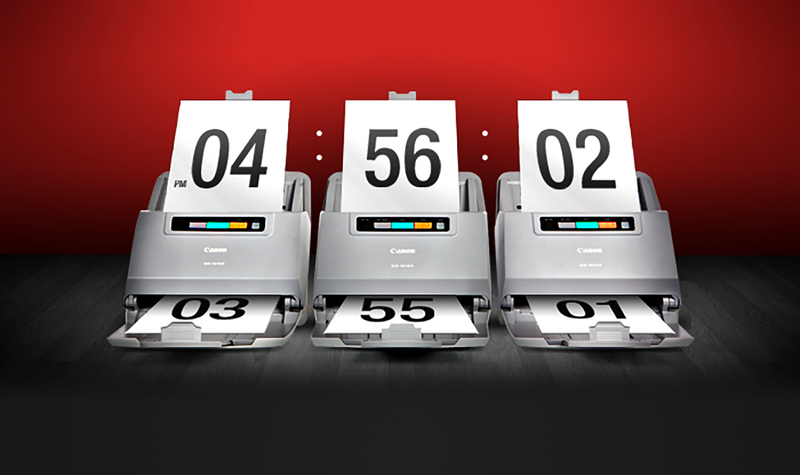 The Canon DRM 160 is the fastest compact document scanner in the market–It scans at a fast 60 pages/min. Which in turn makes employees productive, and scanning documents more efficient. It works as fast as you do.